A native of the Ostrobothnia region, Juha Kangas began his musical career as a folk fiddler. His move into conducting took an unusual route with the emphasis less on formal studies and more on wide-ranging professional experience. Kangas studied the violin under Onni Suhonen at the Sibelius Academy in Helsinki. 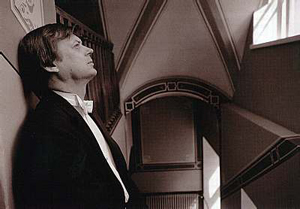 After a period of five years as a viola player in the Helsinki Philharmonic, he took up the post of lecturer at the Central Ostrobothnian Music Institute (now the Central Ostrobothnian Conservatory; 1972-1986). As a sideline to his teaching activities, he founded the Ostrobothnian Chamber Orchestra in 1972 and continues to act as its Artistic Director to this day. Juha Kangas was awarded the Finnish State Prize for Music in 1992 and received the Latvian Great Music Award in 1998.